Fall pairs. not sure why it keeps rotating like that. Nice pair Clint. 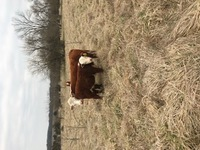 Something tells me that calf is gonna wean half it's mommas body weight.